Watching the X Factor this year? 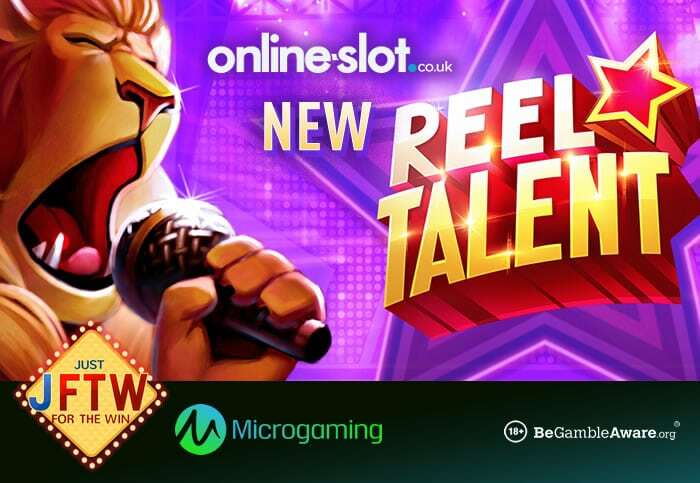 Well, Just For The Win and Microgaming have something better – Reel Talent. It’s a 5 reel, 20 payline video slot where animals showcase their talent. Reel Talent is playable from as little as 10p a spin across desktop, mobile and tablet devices (including laptops, PCs, iOS and Android) and sees lions, rabbits, crocodiles and wolves on the reels. When you get a winning combination, the winning symbol is collected in the Symbol Storage meter – if you fill the meter, you’ll enter the Superspin feature. If you don’t, you’ll get a free re-spin. Once in, you can get a Showtime Superspin, a Big Stage Superspin or Solo Performance Superspin. The one you want is the Solo Performance Superspin as just 1 symbol appears. This allows you form big clusters of matching symbols for hopefully big wins. I recommend you play Reel Talent at NetBet Casino – with the latest video slots such as Pragmatic Play’s Ancient Egypt Classic, NextGen Gaming’s Shields of the Wild and Yggdrasil Gaming’s Dark Vortex. You also have a full portfolio of Playtech titles at NetBet Vegas.